Monochrome colour palette bead pack. 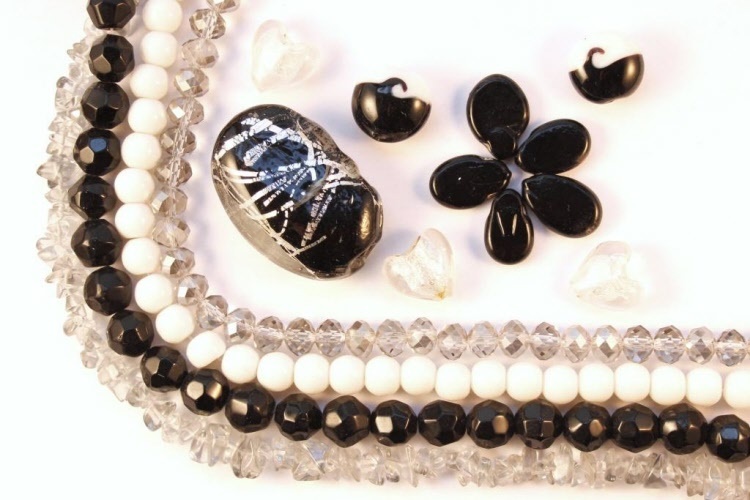 With strong black and white glass beads and a beautiful grey crystal inbetween the glass foil feature bead really shines. All packs sold for $20 but VALUED at $40! Can be used with our findings pack or separate findings! The best eCommerce software by ShopFactory powers P1717. All-in one eCommerce and shopping cart software.